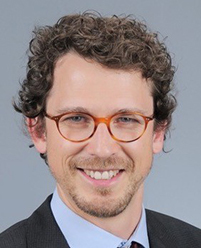 Matthias A. Braeunlich is a senior refugee specialist in International Policy, Practice, and Systems Change at AIR. His primary responsibilities include supporting the development of a Human Rights and Refugee portfolio, strengthening and maintaining international partnerships, and providing technical direction and management on forced migration projects. Dr. Braeunlich will establish a stronger AIR presence in Europe, working between Berlin and Geneva. He has extensive experience in forced migration protection and development, refugee law, legal advice and policy setting, human rights processes, the UN, and the wider humanitarian system. Previously, Braeunlich was an international consultant for a number of UN agencies; taught and conducted research on international law, refugee law and forced migration, and human rights at a number of academic institutions; and led advocacy work at Amnesty International. Dr. Braeunlich holds a Ph.D. from the Graduate Institute of International and Development Studies in Geneva with focus on international law and forced migration, and a Master’s degree from The Fletcher School of Law and Diplomacy. He also holds a law degree from Germany and started his career as a banker in private banking in Frankfurt am Main and Munich.